Hone and sharpen your knives with one tool! 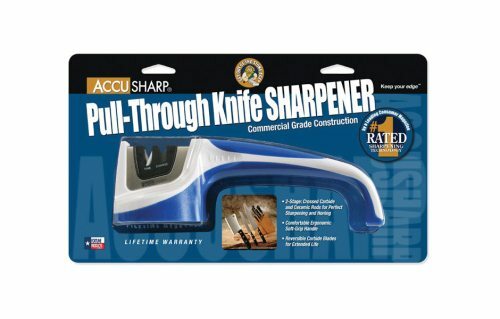 The AccuSharp® Pull-Through Knife Sharpener is great for sharpening and maintaining your blades. 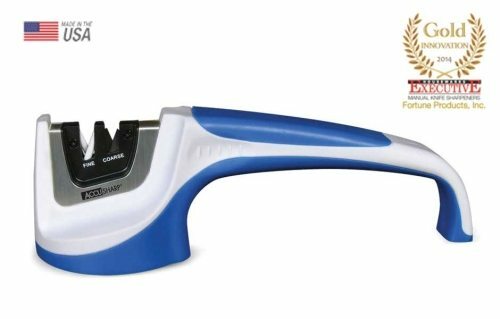 This commercial grade knife sharpener combines the award winning technology and proven reliability of our diamond-honed tungsten carbide sharpening blades with fine ceramic rods. The heavy duty, ergonomically-designed handle with the rubber over-molded grip provides a stable and comfortable platform for sharpening all your knives.